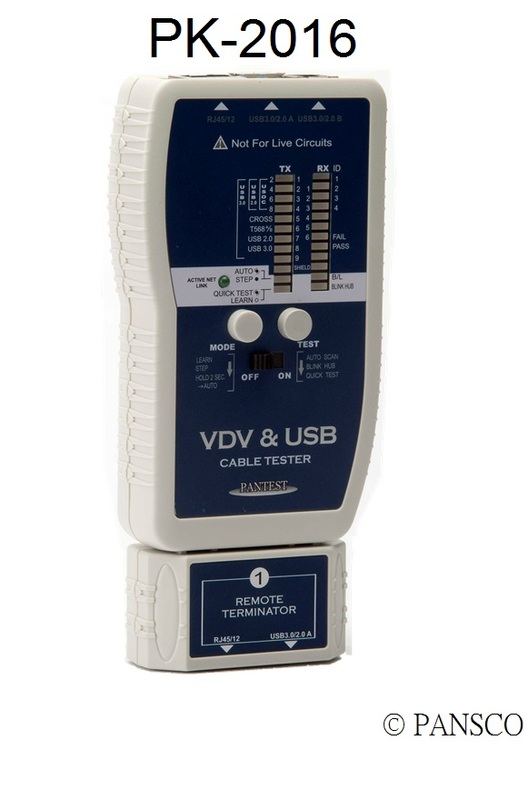 The VDV & USB cable tester is designed for testing today’s media computer networks which combination of telephone USOC (voice), twisted pair (data) and coax security / alarm (video) as well as PC-USB 2.0 3.0 cables. 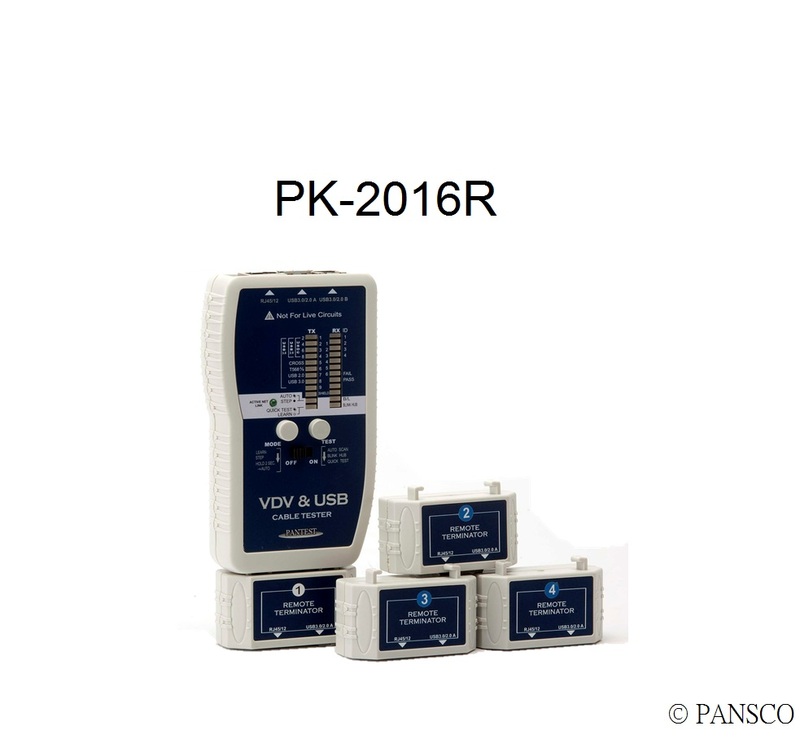 The unit combines pin-to-pin testing, quick testing, blinking HUBs - active net port finder, tone generator and learning functions. Capable of identifying and mapping 4 locations at one time. Activate link indicator indicates an active Net Port. HUB Blink function to locate corresponding port on HUB / Switch for visual cable tracing, and output two selecable tones for tracing cable and fault isolation. Quick test / ID function it displays the passed cable type, ID number or faulty cable in a second. Learning function for testing large quantity custom cable for PASS / FAIL a snap. It also has a low battery indicator. The unit is an easy-to-use tester for whether you’re a contractors, installers, datacom specialist or home networking professional. Checks actual pin to pin configuration of 1~9 pins and shield cables. 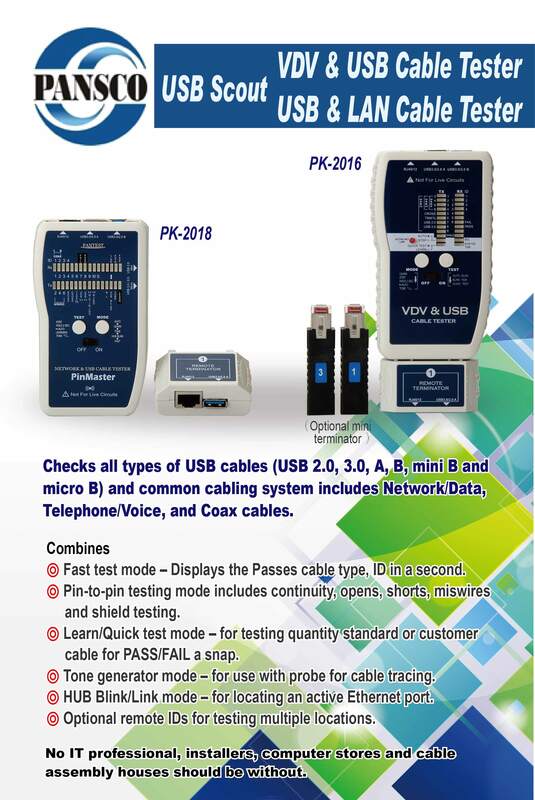 Quick test will display the passed cable type, ID or faulty cable in a second. Learn mode for testing large quantity custom cables for PASS / FAIL a snap. HUB Blink for locating the HUB / SWITCH for the corresponding port. Generates two selecable tones for use with probe for tracing cable. Displays the test results TX & RX on master unit for easy reading. Features remote #1 with convenient attached case for easy storage. Optional remote ID #2 ~ #4 for testing multiple location. Any configuration of custom cables. Standard and any custom configuration cable. STP. UTP USOC 2,4,6,8 Coax, USB2.0,3.0 A/B cables. Quick Test, Learn, Auto/Step and HUB Blink / Active link/Tone modes. Test for continuity open, shot, miswire, crossover, reversed Pass/Fail, and active network. 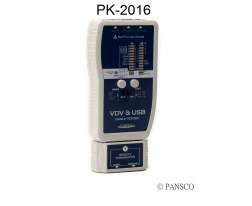 For patch cable and installed cable testing.